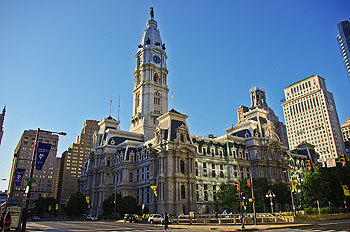 The Philadelphia Committee on City Policy (PCCP) is a long standing civic affairs organization with roots dating back to 1905, that holds monthly luncheon discussion meetings with speakers focusing on current issues and public policy facing the city and region. Featured speakers come from all aspects of city and regional government, non-profits, private sector and other public interest groups. Timely topics affecting the city and region are presented by experts in the field with an opportunity to question and discuss the topic at hand with the speaker in a very up close and unique setting. PCCP 's mission is to "keep our members and other interested parties informed on matters involving city and regional public policy, serve as a bridge between government , non-profits and the private sector, and be a catalyst for sound public discussion". Our season begins in September of each year through the following May, and unless otherwise notified we meet on the 3rd Thursday of the month with meetings held at the Racquet Club, 215 South 16th Street, Philadelphia at 12 noon. A buffet lunch is provided and membership entitles you to a discount.